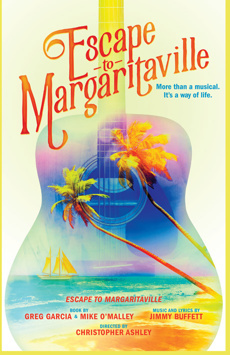 A new musical featuring both original songs and your most-loved Jimmy Buffett classics. Welcome to Margaritaville. There’s no better place to relax, sing along, and have the time of your life! 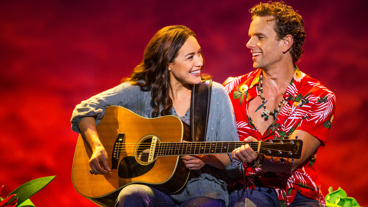 Escape to Margaritaville is the Broadway musical for all of us—it’s the People’s Musical! This upbeat and energetic new show features all your favorite Jimmy Buffett classics, including “Volcano,” “Fins,” “Cheeseburger in Paradise” and many more. With a book filled with laughs from Emmy® Award winner Greg Garcia (“My Name is Earl”) and Emmy® nominee Mike O'Malley (“Shameless”), this electrifying new production is choreographed by Tony Award® nominee Kelly Devine (Rock of Ages) and directed by Tony Award winner Christopher Ashley (Come From Away). It’s the most fun you’ll have on Broadway.